But sometimes it needs a tune-up. With precise adjustments, it runs at top-efficiency. Heal yourself. Get your life back. That’s chiropractic. CHIROPRACTIC RESTORES COMMUNICATION BETWEEN YOUR BRAIN AND YOUR BODY. The spine is rich with nerve receptors in the muscles, ligaments, and joints (proprioceptors). Your spine is the conduit used by your body to send messages to the brain about pain. Your brain sends out healing instructions via the nerve system to a specific destination. But if your spine is out of alignment, those messages don’t get where they are supposed to go. Somewhere, there is an interference. Chiropractic finds that interference and removes it, opening the message gateway. That’s when the magic happens! Your brain’s healing instructions finally reach the intended target, and you heal yourself. Chiropractic exists because of subluxations. Sublux-wha? That’s a fancy way of saying that when your spine shifts a little bit, it causes a disruption in nerve function, preventing communication between your brain and the rest of your body. This is known as an interference. A chiropractor shifts things back to normal, removing the interferences, opening communication between your brain and the rest of your body. This is important because your body was built to heal itself by listening to instructions from the brain. When the interference is gone, your body understands how to heal itself. When the spine has normal alignment the body functions normally. When the body functions normally you are healthy. Normal function happens when every point of our body can send signals to the brain, and the brain can send out healing instructions when we encounter an injury. But throughout our lives, we are subjected to stress (physical, chemical, mental) that can damage the spine. The spine tries to function normally even though it is out of alignment. This is called improper adaptation, or maladaptation. Maladaptation of the spine creates a garbage in, garbage out situation. If the spine is not in proper alignment, incorrect information is sent to the brain and, in return, the brain sends out an improper response. You don’t heal properly because there’s interference in the transmission of the message. Odds are you were born with your spine out of alignment due to your position in utero and the birth process. Over time, for various reasons, your spine encounters other interferences. But your spine is a team player so it does its best to work around these little shifts. It tries to adapt! A chiropractor locates and removes interferences by re-setting the subluxated vertebra with a Chiropractic adjustment. This re-sets the muscles that hold the spine in its proper place and restores normal nerve function. Medication cannot restore a breakdown in the neural network! Chiropractors repair the breakdown by restoring connections through adjustment—with precise accuracy. The purpose of chiropractic is to align the spine so the body heals itself. This alignment can be achieved relatively quickly in many cases—but not in a way that’s sustainable over the long-term. You’ll experience pain relief in the short-term, but the damage hasn’t been completely corrected—yet. In most cases, the spine hasn’t functioned normally for a long time. Adapting to interferences meant learning bad habits, and getting a spine back to normal can take years. Think of chiropractic adjustments like exercise training: You can’t bench 250 lbs or run 10 miles in your first week. You have to train for it! You have to put in the effort and sometimes work through a bit of discomfort. In some cases, changing how you train is necessary. The same holds true when it comes to training your spine. Diversified Chiropractic technique is the most common method used in Chiropractic. Refined over the years, it effectively corrects and restores the spine. Specific Upper Cervical technique is less familiar, focussing specifically on the area of the upper cervical spine (the area at the top of the spine below the skull). This is where the brainstem (medulla oblongata) runs every basic bodily function—every nerve that communicates to our body travels here. The muscles of this area are richly and densely supplied with sensory nerves (proprioceptors). Proprioceptors sense changes in muscles and maintain the balance of the skull and spine—and spinal alignment. Proper spinal correction and restoration begins with an assessment of this important upper cervical area. Dr Mark Mitchell dedicated two years (and a lot of travel time) to the proper assessment and adjustment of the upper cervical vertebrae. He is one of only a handful of Chiropractors in Ontario trained in this technique, devoting careful analysis and focus on the upper cervical area as well as applying diversified Chiropractic techniques. Both are specific hands-on treatments. 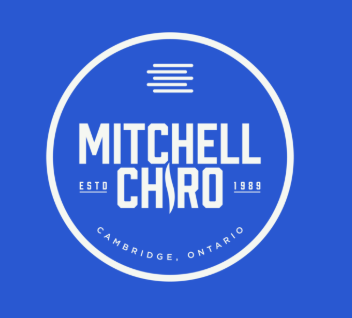 Constantly striving to provide better service for our patients, Dr Mitchell regularly attends seminars to keep current in Chiropractic and health care. Our service, exam, adjustments, and re-exams reflect that commitment. Our short-term goal is to improve your symptoms. Our long-term goal is to restore your spinal health by correcting your subluxations (spinal misalignments) using both specific Diversified and Upper Cervical Chiropractic techniques.